Dhruv Shringi Co-Founded Yatra.com in Jan 2006. Dhruv used to work for Ebooker Plc in London as its Director which was acquired by Cendant Corporation – a USD 30Bil company. After that, the idea of moving back to India and starting something on his own germinated in his mind. Dhruv thought about the days when he used to come to India for vacations. He saw the physical infrastructure at a poor stag and he knew that virtual world will take over shortly and wanted to be at the cusp of the innovation. His earlier stint was in the ticket booking business and his immediate thought process was to start something in the online ticketing space. He was also fortunate to get a rock star team that had worked with him earlier in multiple geographies to join him in the new venture which worked in his favour. The team spent the next 8 months to an year in raising the seed capital and launched Yatra in August 2006. Dhruv says that it was a good decision in hindsight even though he did not estimate that the market will have 200 Million people using smartphones to buy online. However, he knew that it was tough for people to get tickets as the other options people had were either agents or the serpentine lines in the counters. The business driver was to explore alternatives to physical transactions and that became the value proposition by moving the power back to the hands of the customer and bringing in the transparency to an opaque travel market. How did he reach the customers and built the community? The team had to work with both internal and external marketing companies to acquire customers as it was in the Direct2Consumer business. A strong value proposition to their customers was mandatory once the site went live because ecommerce and online purchase was not popular in those days. The internet penetration was also very low and hence Digital Marketing was not useful. At the time of launch of Yatra.com, there were very few websites in the online business. Makemytrip went online one year earlier and Indian Railways website along with a couple of other travel portals just began showing some traction. Dhruv took a bold step and adopted Mass Marketing and used TV as a way to promote the site. 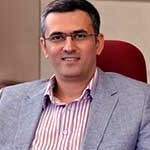 Dhruv recollects that Yatra was one of the first companies to use TV and roped in Boman Irani as their brand ambassador and this convinced the customers to visit the site and sign in. This marketing outreach got them off the ground and they continued to scale their business. The marketing outreach in addition to mass marketing done through SMS which was a popular medium in those days. In addition to that, they set up stalls in trade shows and also did outdoor campaigns. The message from investors were that an online business should be marketed online and offline might not work, but the team went against the grain and began capturing a good slice of the market. This was the early stage of the entire category of the business and they had to change the buying behaviour of the customers. The most important thing was Building Trust. The existing market had only 4Mn to 5Mn online customers and building a scalable business with this customer base was not possible. Hence they had to create a new user base of customers and convert them from the traditional way of buying tickets and make them buy online. The initiative of mass marketing helped in a big way to create a new customer base. What went into building the Platform? On the platform, Dhruv was very focussed on customer engagement as that was a key factor to make customers buy. The persona of the buyers they targeted were the ones who buys from stores like BigBazaar. He wanted to replicate a simple and an engaging buying process. He ideated on having a simple google search like interface which made the search process so easy. This was also an unconventional move because the competing websites in the global market did not have a simple interface. They ideated about using a minimalistic UI however, they concluded that their core customer persona was the middle class consumer who shops in places like big bazaar and is very deal and offer focussed. Hence they concluded that a minimalistic approach wasn’t the right choice for them as a brand) He also reasoned out to his investors by quoting one large competitor who adopted a different approach by following a competitors model of discounts and structured demos. They however failed because they took someone else’s model without realizing how the pieces fit together for them. One area he could have done better? Talking on one area where he could have done better, Dhruv talks about investing in systems to enhance customer experience. He did not anticipate such a huge adoption by the market and thought the initial systems will be sufficient. For almost an year from early to late 2007, the customer experience was a big issue as they could not scale with the massive adoption of customer base. The customer experience was not in line with the image that Yatra brand was communicating. Dhruv says that he should have invested in the systems and tells the other founders to invest in process ahead of time and enhance the customer experience. Make sure that the value proposition to customers and the customer experience is smooth. Do not scale to a certain stage and stop to make the systems scale to your business and then grow again. Invest upfront in systems , streamline customer experience and scale forward. Has 2000 employees all over India. They have done close to USD 1 Bn of Gross Merchandise Value in revenue. They have around 35000 registered hotels and around 3Mn customers. They have been named the most preferred online website award by IAMAI for 2 years and they were also the No. 1 among the online travel brands in Brand Equitys survey of “Most Trusted Brands”. They also bagged the award for the Best Online Travel Agency at the Galileo Express Travel world award and also were the only Indian travel company among the Top 100 startups in Asia by Red Herring in 2006. They have raised 5 rounds of funding so far.